Microsoft is currently working on a couple of interesting entries in the Surface line. Last week, there was an exciting report about a foldable, pocketable Microsoft Surface device. That device looks really promising, but it likely will be very expensive. Microsoft is also working on a more affordable Surface tablet and it appears to have passed through the FCC. The FCC filing only mentions a low-powered charger, which would go with a smaller device. Unfortunately, that’s the only detail we have to go on right now. The previous report stated the device would have a 10-inch display, more rounded design, USB Type-C charging, and a nice $400 price tag. They may also have an LTE model and affordable keyboard covers to go with it. An affordable Microsoft Surface tablet could do very well for Microsoft. The current batch of Surface devices is quite pricey. You could spend over $3,000 if you wanted. 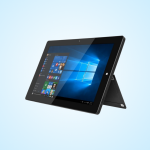 With the onslaught of Chrome OS 2-in-1 devices just beginning, Microsoft knows they will need to compete at every price point. $400 is a great price, but performance will be key. Chromebooks in the same price range can run well on Intel Core m3 processors. Windows 10 is not as adept at running on low-powered devices. Microsoft has not acknowledged this device or their plans. The fact that it is already going through the FCC would suggest that it’s close to release.